THE ONE BIG PICTURE FOR THIS WEBSITE IS TO CREATE A GENERATON OF INDEPENDENT LEARNERS. 3. 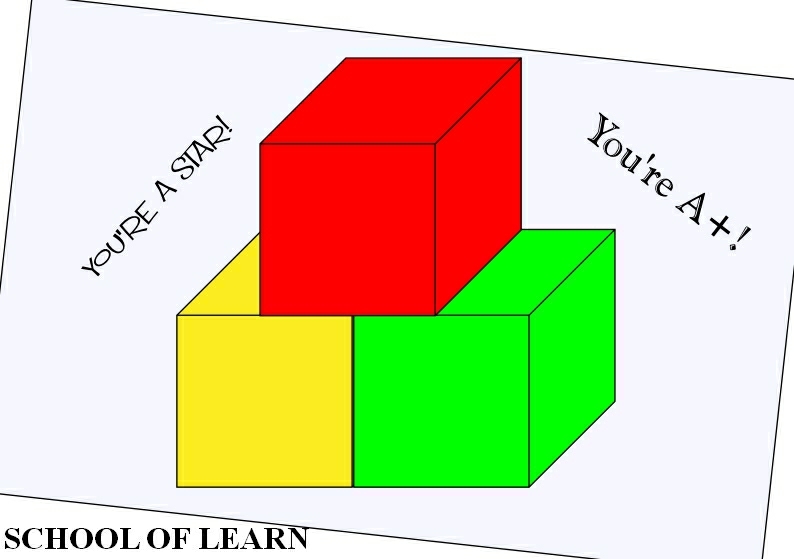 To use your PLS to create a Unique Learning Process (ULP) that works for you! I am your School of Learn instructor and I created this site because I believe... ANYONE CAN LEARN! It's simple; people are individuals and so will have unique processes of learning; this is why it can be frustrating to learn. It doesn't have to be that way because learning has a process and you can learn it! This site does not promise to tell you what that is rather it aims to help you to discover your unique leaning process. Whether you want to learn Maths, Music, Science or Art the you should realise all these things are part of a bigger holistic picture. 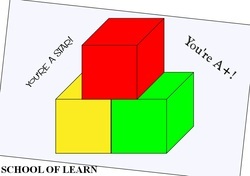 Snippets of information that make up a process or concept can be thought of as building blocks. It can be scary when you see the entire structure but all you have to do is to break it down into blocks so you can build it backup again! LET'S GET STARTED!!! Move on to the next page.